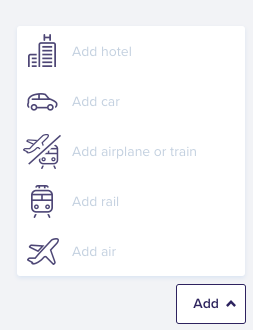 From Rydoo Travel (web), start by clicking on the Travellers icon on the top left corner in the Rydoo Travel module and click New button. Search for a traveler in your company and click the (✚) icon. 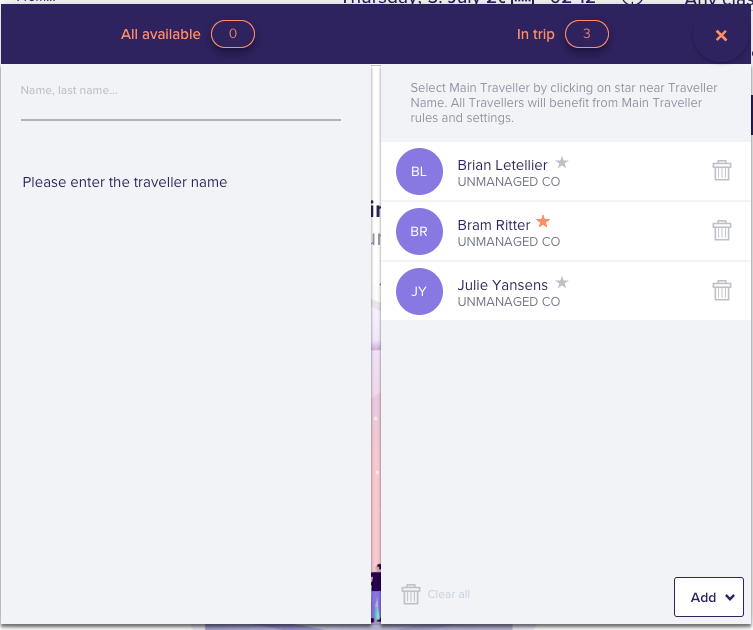 Once selected, the traveler will appear In trip on the right panel. Please note: you will only be able to search for the users in your company where travel is enabled. When a group of travelers need to stay at the same hotel or will need to be on the same flight, you can easily add them to the same trip. The maximum number of travelers you can add to your group booking is 6. If applicable, the travelers will also inherit the same rules and settings of the Main Traveller ⭐️ selected. Once your In Trip list is complete, click on the Add ⌵ button and select the travel service you wish to arrange for your traveler(s). — Only the arranger can cancel the booking for the traveler(s). A canceled hotel booking within the app will cancel the entire booking for all travelers. 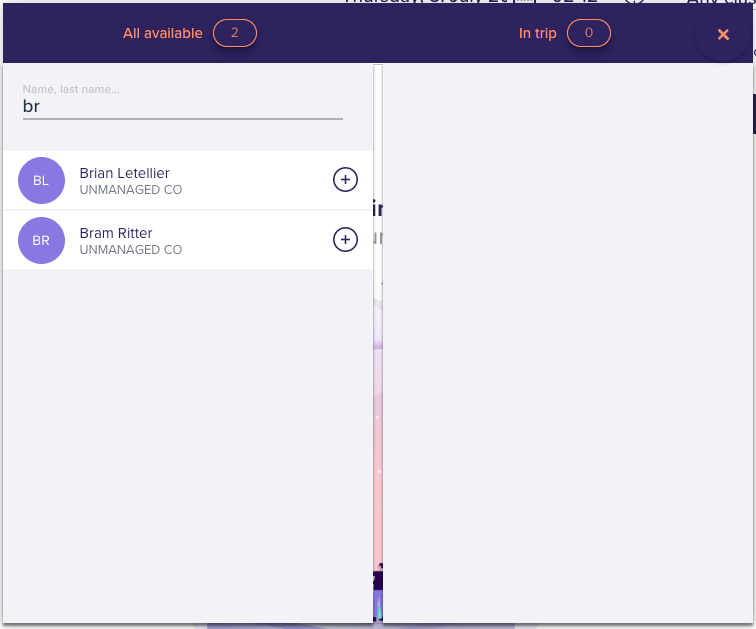 — Are you already using Rydoo Travel and you'd like to benefit from the arranger role? Give us a shout at support@rydoo.com or the chat bubble to your right!